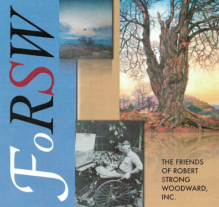 RSW- Artwork page, "Under the Summer Window"
Read this Scrapbook story for more about the Heath Studio. "Painted about 1932. This has in the past been titled both Under the Studio Window and Under the Study Window. 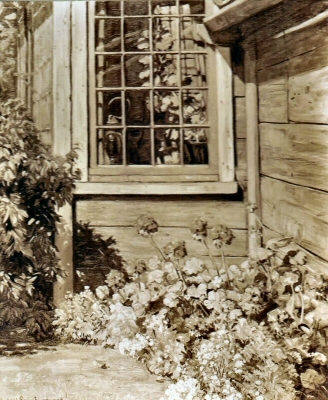 The outside of the old studio window (that burnt) done the last fall before the fire, geraniums and camphor geranium in the fore ground while through the window glass itself one sees an inside shelf geranium, through the room a suggestion of looking out the north window across the room. An outside corner of the old studio, where it jutted out to the south and west, a very decorative and much liked canvas, but never sold, possibly because of its size, an upright 30 x 36. Very rich and gay in color, a great favorite when shown in my studio but it is a 30 x 36 NOT 25 x 30. It is a painting of which I am proud." 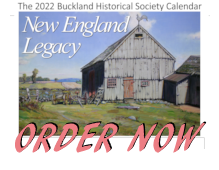 Selected by Mr. Edward Pettis as his Legacy Choice, September 8, 1957. 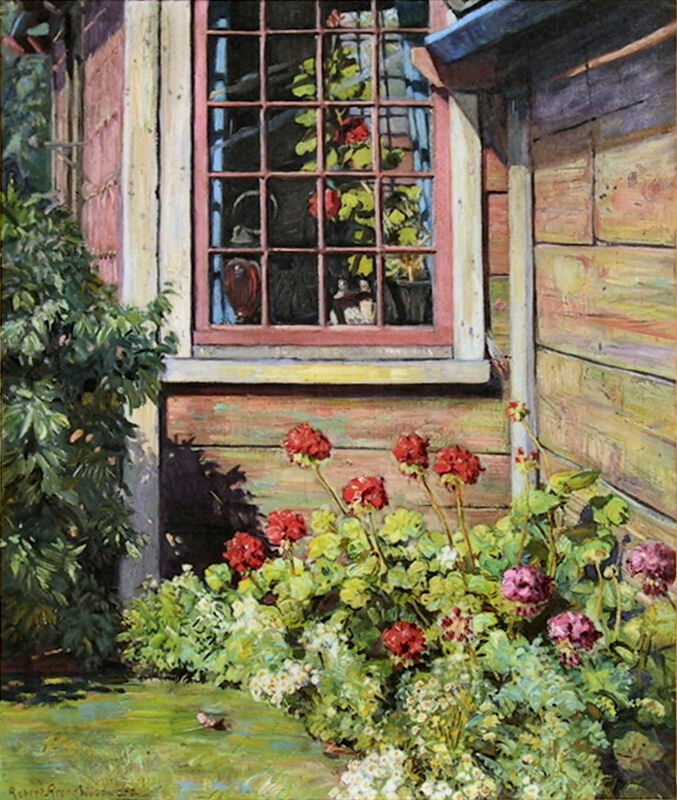 "There is more gaiety in the red geraniums massed so happily Under the Studio Window......". "...the lovely canvas called Under the Study Window, where the sunlight of out-of-doors is subtly contrasted with the indoor shadows seen through the window of the house." "Under the Study Window is a beautiful bit of a flower garden up against a house-full of sunlight, of rich color and delicate greens." "Decorative, although harder, is the gay, patterning flower garden that blooms, Under the Study Window." "..... Is original in design, boldly laid in and rich in color."